Will 7-Inch Tablets Help Windows 8/RT? According to recent reports, Microsoft is working on extending the Surface lineup with a 7-inch tablet. 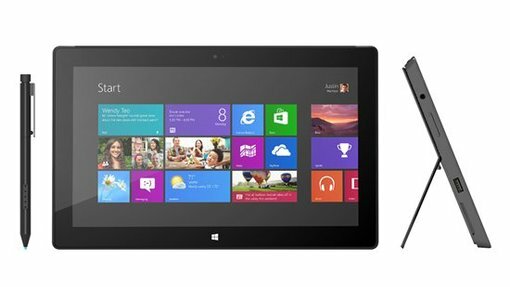 Micrsoft had previously altered the minimum hardware requirements for Windows 8 tablets, which could theoretically allow screen sizes as low as 7-inches. I have had a consistently bearish view of Windows 8's chances in the tablet market, but do 7-inch tablets change anything? The biggest reason for Microsoft to move to 7-inch tablets would be to target lower price points. This would make ARM-based tablets the obvious choice. However, Windows RT tablets would never be price competitive with Android tablets because of Microsoft's minimum hardware requirements and the license fee Microsoft charges OEMs. Based on this, my guess is that 7-inch Windows RT tablets would be priced around $299, which is in the same ballpark as the iPad Mini. However, this price would be too high to appeal to low-end Android tablet buyers, while high-end buyers would stay away because of the lack of a vibrant application ecosystem. The only other draw for this product category would be Microsoft Office, which I've covered in the section below. Thanks to the x86 processors, the price of these tablets would be prohibitively high compared to other 7-inch tablets. The only reason to even attempt to use x86 processors on 7-inch tablets would be to market compatibility with legacy applications. Unfortunately, as I've previously explained, legacy applications are not touch optimized and are practically unusable on touchscreens. Attempting to use legacy applications on 7-inch touchscreens would be as bad as Microsoft's early attempts to squeeze Windows 7 onto tablets. What about Microsoft Office? Based on early sales of Microsoft's Surface RT and Surface Pro, it isn't a stretch to say that Microsoft Office hasn't been a big draw in the consumer market. Enterprise buyers would surely be interested in MS Office, but if a tablet with MS Office was a big priority, they would be purchasing Windows 8/RT tablets in droves. This is certainly not the case. Given the lower level of functionality, enterprise buyers would be far less interested in a 7-inch tablet running MS Office. Based on these points, it is fairly clear that 7-inch Windows 8 tablets are a result of Microsoft jumping onto a market trend without understanding it. Windows 8/RT tablets have many problems, but screen size is not one of them.